According to a Space Act Agreement signed with NASA last November, the drone could lift off from NASA’s Armstrong Flight Research Center in California as soon as this month. 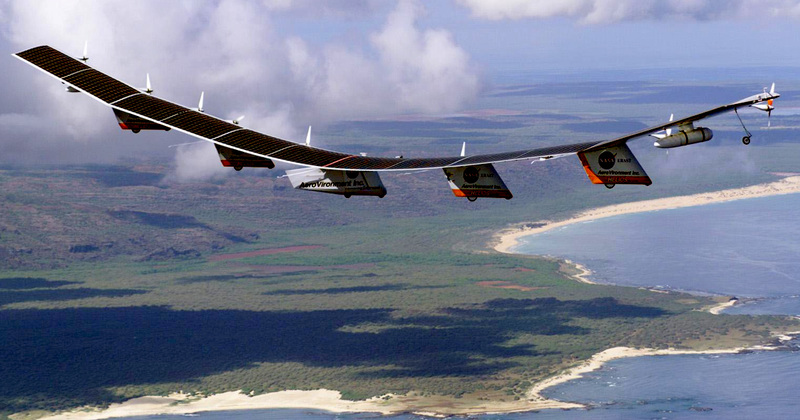 AeroVironment’s previous prototype drone, the Helios, was the largest winged horizontal aircraft in the world. The plane was wider than a Boeing 747 but weighed less than just one of the jet's landing wheels. Helios came to an abrupt halt in 2003, when NASA was testing the drone off the Hawaiian coast, high winds caused the plane to disintegrate in mid-flight. In 2010, AeroVironment designed and built another prototype, called the Global Observer, for the Pentagon. The drone carried top-secret communications and surveillance payloads. The program ended one year later after a crash landing. The technical difficulties surrounding AeroVironment's drones did not prevent Facebook and Google from attempting to develop ones of their own. "Google bought a company called Titan Aerospace in 2014, and carried out numerous tests of a 5G system called SkyBender at Spaceport America in 2016. Its parent company, Alphabet, eventually grounded the drones in 2017 to focus on Loon, which is now an Alphabet subsidiary delivering commercial Internet service from high-altitude balloons. Facebook also wanted to test its enormous, stratospheric Aquila drones at the Spaceport, but shelved its plans last year after fragile prototypes were damaged on landing," wrote IEEE. In January 2018, SoftBank and AeroVironment formed a partnership called HAPSMobile to develop a solar-powered HALE drone for commercial operations. Although filings provide limited details of the Hawk's intended communications payload, it does say "tests will address integrating the transceivers at different altitudes in the solar environment." IEEE notes that Google and Facebook have dropped out of the internet drone race, but the Hawk 30 still faces several competitors including Boeing subsidiary Aurora Flight Sciences' Odysseus and Airbus' Zephyr. We'll know in several weeks if the Hawk 30 can overcome the mishaps of AeroVironment's previous drones. If the test flights are successful, Hawk 30 could be in the running to provide 5G connectivity to the world.